Thinking about you Wink. I was so sad to hear the news. 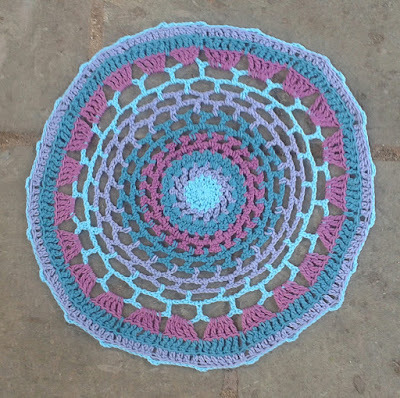 I first spotted one of your mandala patterns in a crochet magazine in April 2014, thinking “that’s lovely” and so your name was familiar to me. I decided to participate in this project because raising awareness of depression is so important. I have personal experience of dealing with intermittent low moods and find that crochet helps immensely especially when crafting with others. 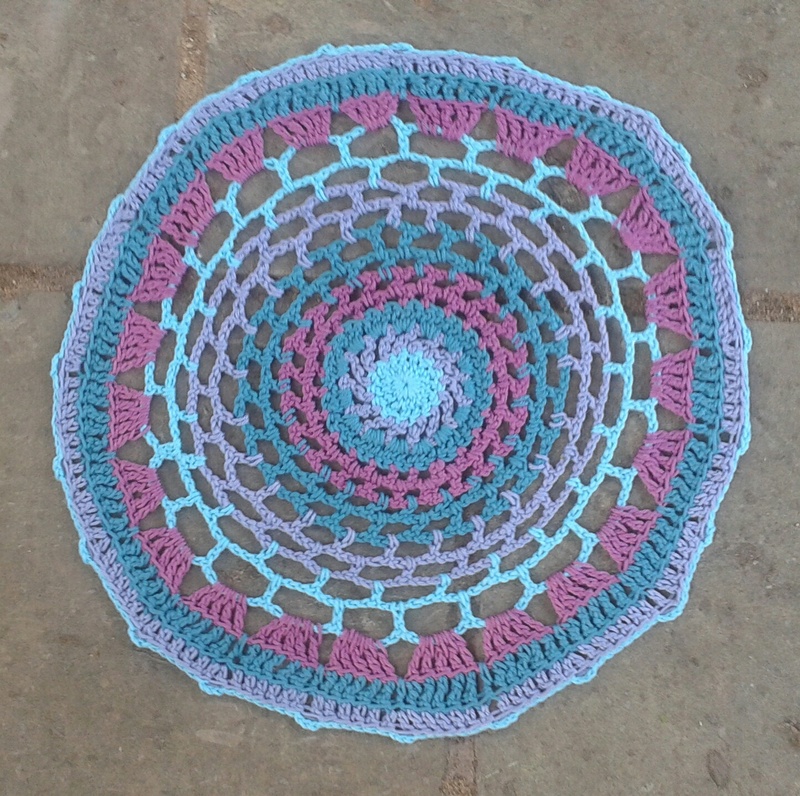 I have used the pattern “Winter Mandala” from the magazine where I first discovered you. Kathryn Vercillo is running this tribute project to celebrate the work of a young crochet designer Marinke (Wink) of A Creative Being who suffered from depression and succumbed to suicide.